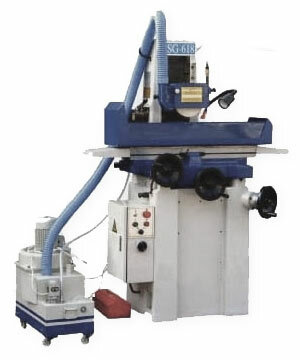 Eastern Tools manual hand fed precision surface grinders are a toolmakers choice. Its ease of operation and design makes it a popular standard. 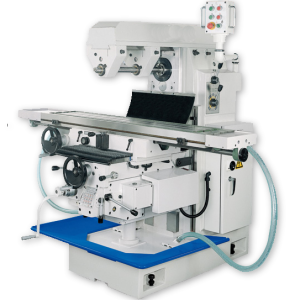 It has the built-in documented accuracy for grinding to the precision tolerances required for today’s metalworking shops. And even with its low price many features are standard. The sealed precision spindle cartridge provides low maintenance to the 4 preloaded class 7 super precision angular contact ball bearings. 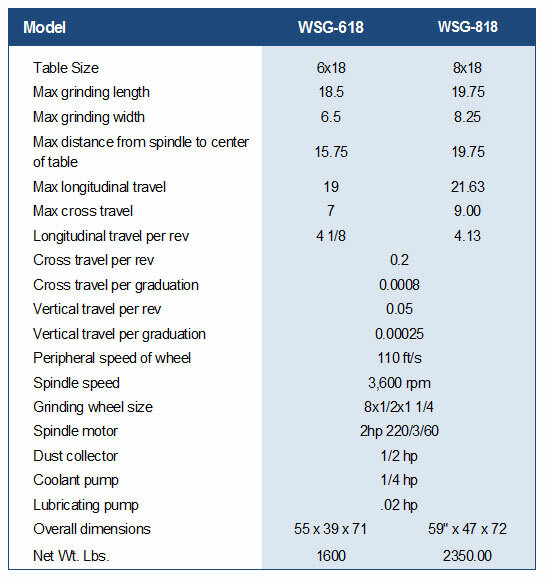 Grinding operations that are performed within a temperature controlled room be will assured of the maximum performance of an “Ultra Precision Spindle Rotation” that is free of noise. Under these grinding conditions performance and accuracy is greatly enhanced; extending the life of the spindle. The spindle is directly mounted to the drive motor. This feature allows both High Torque as well as operating vibration free under heavy surface removal. Both Longitudinal & Cross Slide-Ways Are Precisely Hand-Scraped And laminated With TURCITE-B Providing A Smooth Travels And Ever Low Wearing, Mostly Suitable For Grinding. Ball Ways Are Available For Hand Feed Grinder. Finely Selected Steel Balls Are Utilized For A Light Grinding Jobs And Maximize Working Efficiency. Automatic Lubrication System Is Furnished As Standard To Provide Ample Lubrication On All Slideways And Leadscrews Enabling A Smooth Movement So As To Minimize Wearing Possibility.